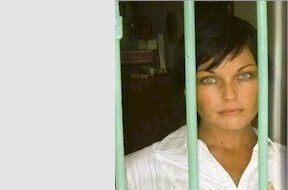 Read Schapelle's first hand account in the book she wrote from her cell. Tell others about it. It's frightening isn't it, that this sort of thing can actually happen? It HAS happened, and Schapelle is suffering desperately because of it. But what about the 'trial'? Prepare yourself, because it was not a trial as you would expect at all: far from it. Throughout the ordeal she pleaded for a more thorough investigation, begged for the marijuana to be analyzed (the Indonesian Government didn’t want this! ), appealed repeatedly for specific evidence to be collected and not ignored. It was all futile. The kangaroo court was not listening to her (the judge even revealed that in the 500 drug related cases he had presided over he had never acquitted a defendant). In practice, the function of defence lawyers there is to negotiate the best outcome for their client, not dispute the verdict. In refusing to plead guilty to a crime she didn't commit, Schapelle refused to play the game, and suffered so cruelly as a result. And just for good measure, to make the process even more torturous for her, she was under threat of death by firing squad throughout. Just a reminder: we are in the 21st century, not the middle ages. For the legal minded, a Research Assessment demonstrates the daily breaches of Schapelle's legal and human rights with respect to both Indonesian law, and UN international conventions. It is a harrowing and extremely disturbing read. If you can face it (and it is distressing) please take a look at an excellent case report by DJ Wolf: The Corby Case - Part 1 and The Corby Case - Part 2. 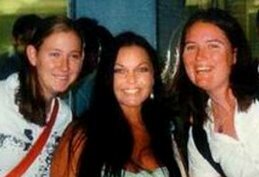 Schapelle wasn't listened to then, and she can't speak for herself now, but you can do it for her. Please visit our How To Help page.